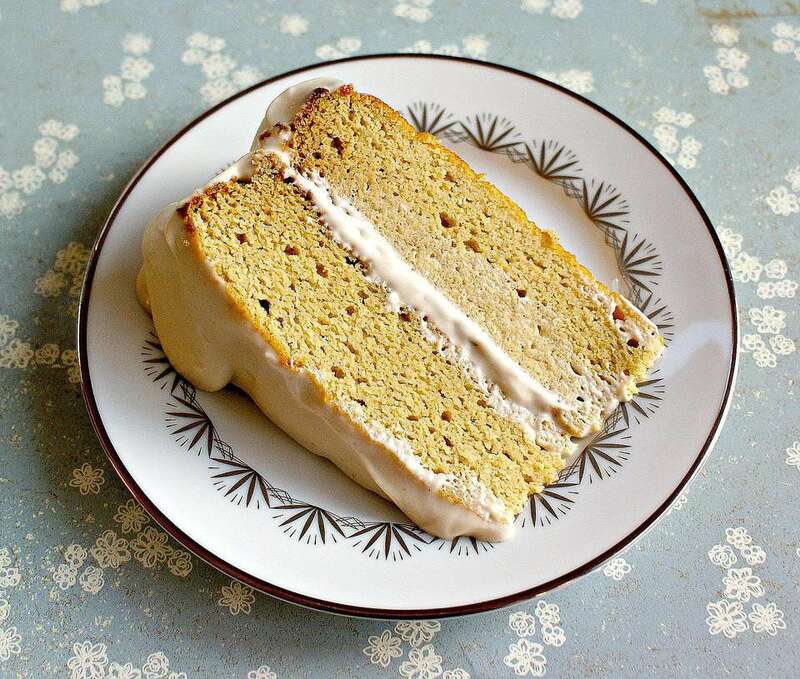 Everyone will enjoy this basic yellow cake recipe made from scratch. It's very similar to what the British call a sponge cake with holes and a firm texture. Few people know that the term yellow cake generally refers to a simple cake made from a mixture of butter, sugar, eggs and flour. What Makes a Yellow Cake Yellow? The yellow cake is colored by the egg yolk used in this recipe. When you bake a white cake, you use only egg whites to avoid a yellow color. I bet you didn't know the word "cake" dates back to the time of the Vikings, from the Old Norse word "kaka." Early signs of cake stem from when the Ancient Romans used bread dough flavored with butter, eggs and honey. This is said to be one of the early cake-like desserts. The English also were known to have baked cakes that resembled bread. Initially, the differences between bread and cake were the shape; cakes were flat and round, while bread came in loaves. Preheat oven to 350 F. Grease and flour 2 9-inch cake pans. In a bowl, combine flour, baking powder, and salt with a wire whisk. Cream butter and sugar until light and fluffy. Beat in eggs, one at a time. Add vanilla and mix until completely combines. Slowly add flour alternately with milk. After adding ingredients, batter should be smooth. Divide between 2 pans. Bake for 20 to 25 minutes. Cool 5 minutes in pan, then invert onto a rack and cool completely before frosting. For a 9 x 13 pan: Bake at 350 degrees F for 30 to 38 minutes. Chocolate Fudge Frosting: I like this recipe because it's so rich. Boiled Frosting:This recipe for icing cakes makes enough to cover tops and sides of 2 9-inch layer cakes.